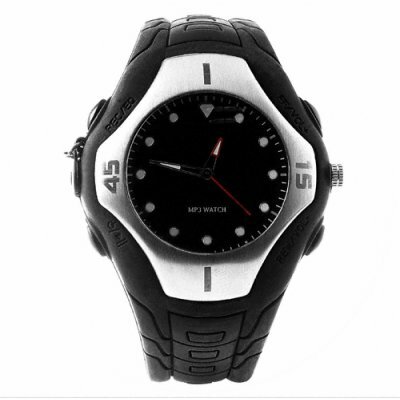 Successfully Added Black Wrist Watch MP3 Player 2GB - Waterproof + LINE IN to your Shopping Cart. Great Chinavasion wholesale wristwatch 2GB MP3 Player in a fashionable black color. The modern style design for this product is sure to please anyone who owns it, and it comes with some incredible features sure to warm a gadget lovers heart. Use the watch as a portable hard disk, record with the high quality MIC, record audio via the LINE-IN, and never worry about water damaging your watch. Other excellent features include MP3/WMA/WAV music format playing and even a built in FM radio. Dropship this low cost electronic MP3 watch direct from China today..
use enquiry ticket if you have question.